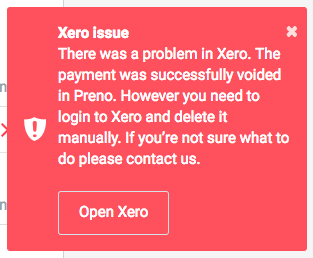 "There was a problem in Xero. The payment was successfully voided in Preno. However you need to login to Xero and delete it manually. If you're not sure what to do, please contact us." NOTE: If you're voiding a payment that was created as a result of using the payment gateway integration, get in touch with our team. We will void it on our end. 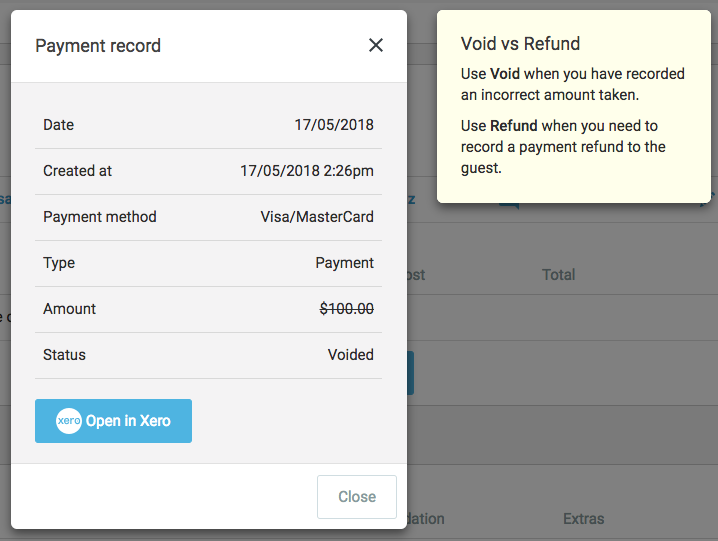 Click on Open Xero on the error message that appears, or click on the voided transaction in the Payments section. This will open the prepayment in Xero. Click the name of your bank account on this page to be taken to the Transaction. Click on Options and Remove & Redo. You'll be asked to confirm this action - click Yes. 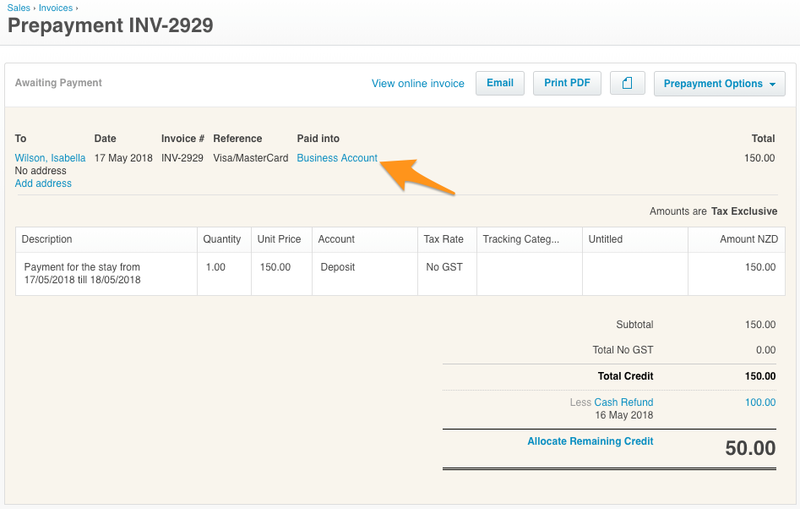 The prepayment has now been deleted in Xero and voided in Preno, so you can redo it.